I remember being totally unsure about what direction to take with my career. I was at a crossroads with two choices — and I had no idea what to do. Senior year of college, I had a great job offer. It would have impressed my friends and parents, I would have made a lot of money — but there was something in the back of my head saying no. My other option was to stay in school for a fifth year, get a graduate degree, and soak up what college still had to offer me. I tried all the things you would think of, like writing down a list of Pros and Cons, and sketching out a “5-year plan” (ugh, who the hell knows where I’ll be in 5 years?). But I kept coming back to this idea that I “should” take this because it was the right thing to do. And just as I went to call and accept the job offer, I stopped short. I couldn’t shake the nagging feeling, so I sent an email to one of my mentors. We met for coffee and I spilled the beans. Like a great coach, he didn’t tell me the answer. He showed me a new framework, a way to think about the problem. After I talked it through out loud, I actually made my decision on the spot: I’d stay in school and enjoy my last year. More than 10 years later, I still remember that one sentence. But even more, I still remember the framework he taught me for making a wise decision…one that, in the end, turned out to be the 100% correct one. Remember the final scene in Indiana Jones and the Last Crusade, where Indy has to choose the Holy Grail? He could choose the shiniest cup, but (spoiler alert) because he has an intellectual framework, a “map,” of what the Holy Grail looks like…he chooses correctly: the old, rusted cup that would have properly been owned by a carpenter. That single decision saves the life of his father. What would you give to have someone share these frameworks with you? For someone to help give you clarity over the big decisions? The ones where, if you make the wrong decision, you can get stuck in a decade-long rut that becomes increasingly hard to climb out of…or if you make the right one, your career can soar and leapfrog others who didn’t have the prescience to choose correctly? Let me share one of these frameworks with you right now. One technique you can use is to “reverse-engineer” the careers of people you admire. You can do 50% of this online, simply by studying their career history (use LinkedIn) and analyze how they ended up where they did. What was their first job out of college? How did they switch industries? Oh, they got laid off when their third employer shut down? How did they transition then? Most people take that knowledge and stop. Then they copy the exact same career moves. I call this Moronic Modeling. “Ah, got it! So I should start working at a magazine…then switch to TV…then finally write a book and become famous!” No, dumbass, you’re copying the tactics without understanding why it worked. It’s like an aspiring chef going to a restaurant, eating the food, then thinking that knowing the ingredients alone will let them make the exact same dish. Wrong! There’s another part: Understanding the context. This means understanding WHY the person made those decisions, not just WHAT those decisions were. When should you take a job with a 40% pay cut? Under what circumstances should you move to a small city vs. a big one? How do you know when to leave your company? Should you aim for more money or work/life balance? If you understand the WHY — the frameworks to make the right decisions for you — you can adapt them to almost every possible situation you’ll encounter. Instead, most of us get so stressed about these choices that we procrastinate and do nothing. We let other people make the decision for us. We spend our time wondering “what if…?” What if I did things differently? People spend their ENTIRE LIVES stuck in this cycle (mostly starting around 30)…wondering why our careers aren’t going the direction or the velocity we want them to. And when we do come across an opportunity, we freeze, uncertain how to proceed, terrified of making the wrong mistake. Or we sit at our desk in a job we never should have taken, wondering where we went wrong and if it’s too late to change? Or if we’ll know how to make the right decision the next time we get our shot? Top performers DO have strategies and tactics they use, which average performers don’t. One of the people who’s taught me the most about these strategies is Ben Casnocha. Ben is one of the most sophisticated thinkers on careers today — he’s been an entrepreneur, author, and right-hand man to one of Silicon Valley’s godfathers, Reid Hoffman. How does someone so young make these career moves? I wanted to know — and I wanted to reveal these frameworks for you. That’s why I invited Ben into my studio to pick his brain about how anyone can make the most of these defining career choices and opportunities. How to increase the serendipity in your life…and open up killer career opportunities you didn’t know existed. It’s not what you know, it’s who you know. So true. I’m intrigued by the idea of selling how to use your social network. But if I’ve never been held captive by my employer and I recently transitioned into a job I love what can I get out of this brain trust? I have a side business, does your brain trust address generating sales through your social sphere? No, it’s focused on taking action, not sales. Did you read the sales page? I understand the reverse engineering…I get stuck and can’t make up my mind about which careers I admire to reverse engineer. Everything seems interesting to me. How do you suggest we make a final decision about which career to reverse engineer? 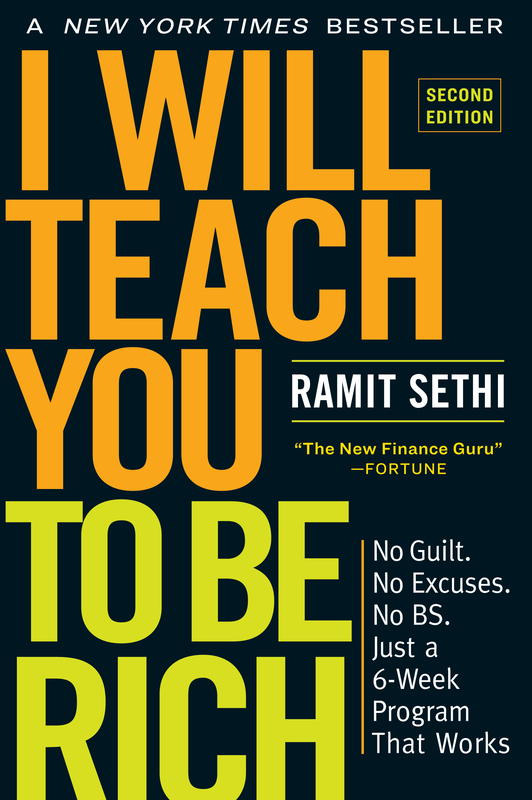 Ramit, I really enjoyed this post. Are you suggesting that the best way to plot your course is to have a detailed description of what your end goal looks like? I’m just trying to understand the Holy Grail analogy analogy a little better. Would joining the Brain Trust group help someone who isn’t clear on what they want and has barriers they don’t know how to overcome? Really enjoyed this post. I had a similar situation once I graduated college. I had a job offer to work as a Civil Engineer for the expansion of the Panama Canal. All my family and friends told me I should do it, however I had the same gnawing feeling as you. I didn’t want to be an engineer anymore. I wanted to work in the IT industry. I’m glad I did and I have been pretty happy with the decision so far. I wonder what your thoughts are on *re-negotiating* one’s salary. I was promoted to a better position within my NPO and my “probation period” is over and it’s time to have this intimidating salary conversation in a few days. I’ve never felt comfortable negotiating salary before, let alone renegotiating. As I’ve been researching how to go about having this conversation, I see plenty of tips and tricks on what to do when you’re negotiating your salary for a new job. But what happens when I already know what my roles, responsibilities, and expectations are? What happens when I know I’ve made a couple of mistakes but, overall, I know I’ve done an excellent job? What happens when, as I research comparable salaries, none of the position descriptions sound like what I do on a day-to-day basis? What tips do you have for renegotiating one’s salary? Any feedback is greatly appreciated! I have an entire course on exactly this. Get on the waiting list at nostressnegotiation.com. I first read that line and thought, “Oh Ramit must of mistyped and meant to ask “What would you do?” I don’t know why I always default to that instead of your question. A big takeaway for me. I found my success exactly as illustrated above in the reverse engineering piece. This can be extremely powerful, depending on the career or industry you’re targeting. I got my aviation job in just this manner, as there are a few blueprints or “tracks” to follow to get to the top jobs. I met others who were successful, found out how they did it, and designed my own blueprint based on the others that came before me. It works! I love the concept about how to find the dream job. But I am still no closer to finding out what dream jobs to pursue. I don’t see the specific process to discovering those. Is there something besides “be more specific,” located somewhere that I am not finding? I am stuck at the I don’t know what I want to do stage. Help, please.